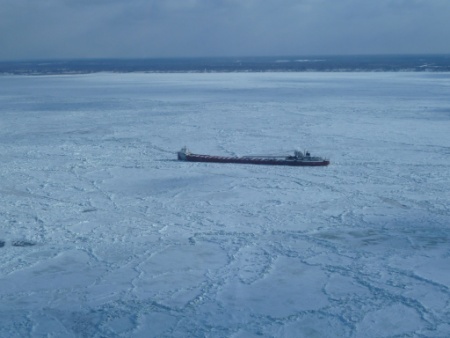 The 234 meter long self-unloading bulk carrier Arthur M. Anderson became stuck in ice on Lake Erie off Conneaut, Ohio. The Arthur M. Anderson had been trapped in ice that was 5 to 10 feet thick just outside the harbor as the vessel attempted to return to its winter layup in Sturgeon Bay, Wisconsin. 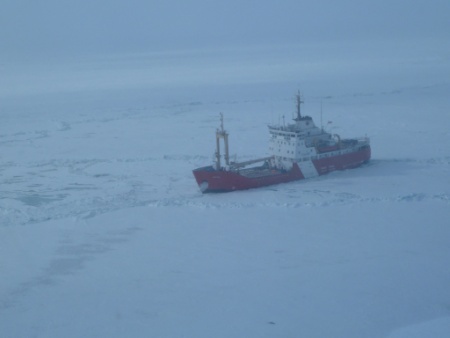 The 140 foot long United States Coast Guard Cutter Bristol Bay was beset by ice nearby. The Bristol Bay was outside Ashtabula attempting to reach Cleveland to refuel and provision the cutter before heading to help the Anderson. 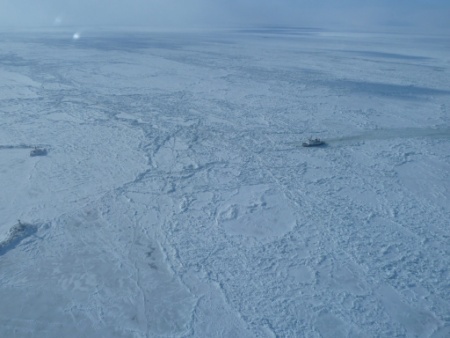 However, the cutter spent several days battling the ice and found itself running low on food. A helicopter was dispatched to drop food to the cutter. The 234 foot long Canadian Coast Guard icebreaker Griffon was requested to assist both vessels. Stationed in Prescott, Ontario, the Griffon was asked to proceed to help free the Bristol Bay and clear a path to Cleveland. Afterwards, the Griffon was to continue to break a path to Conneaut to free the Arthur M. Anderson.